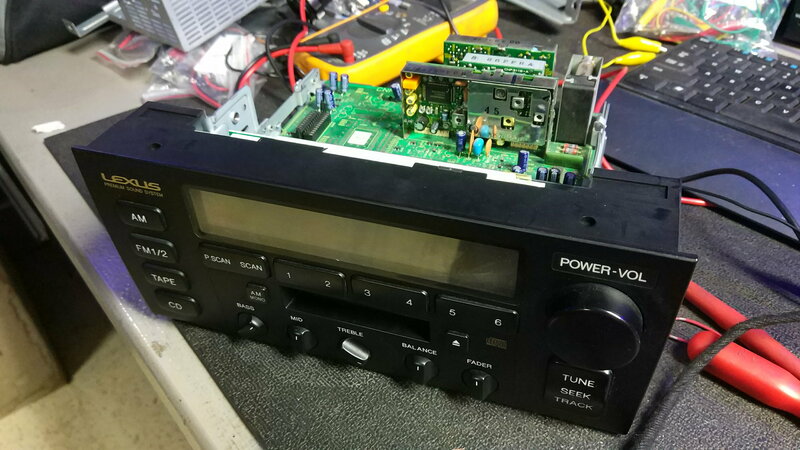 I have successfully wired in an aux 3.5mm audio jack to a first gen LS400 Pioneer head unit via the AM/FM radio audio circuit. When a music source is connected to the 3.5mm jack, the audio is played together with the radio on both AM or FM channels. To fix this I simply cut the audio channels on the printed circuit board for the AM radio (I don't listen to AM!) so that there is no longer any AM audio signal being fed to the processor. 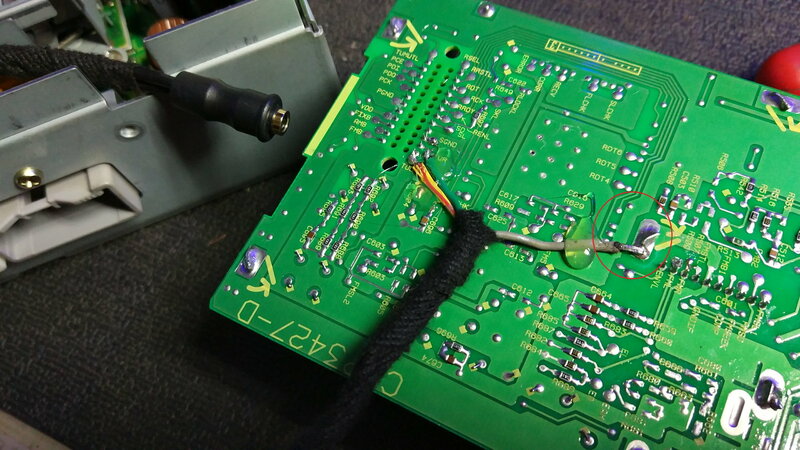 Therefore, this method converts the "AM" button on the head unit to effectively become the "AUX IN" function. 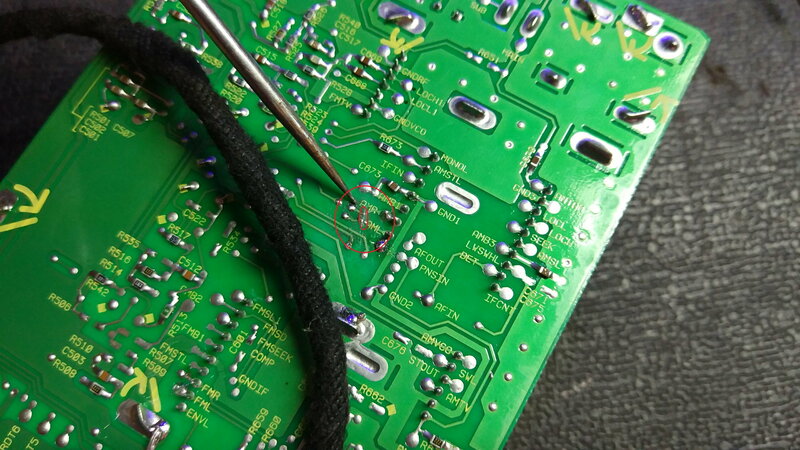 Solder in your Left and Right audio circuits of the 3.5mm audio jack to TUL and TUR circuits. 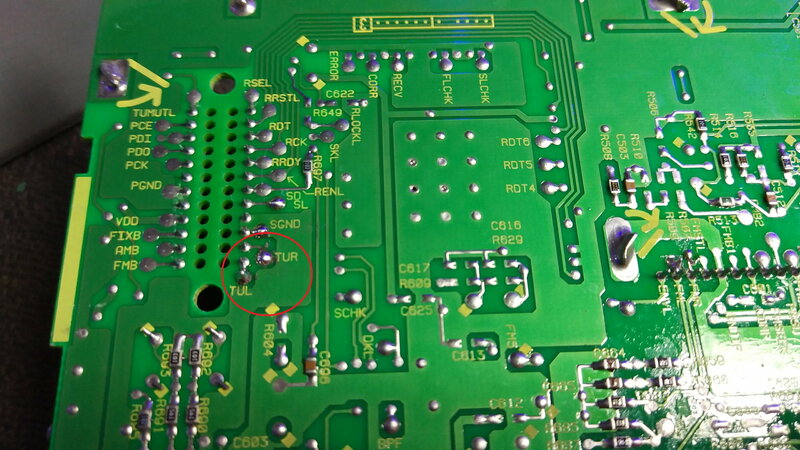 Connect the ground wire to a ground point on the PCB (grey wire in pic). Locate AM audio circuits AMR and AML. 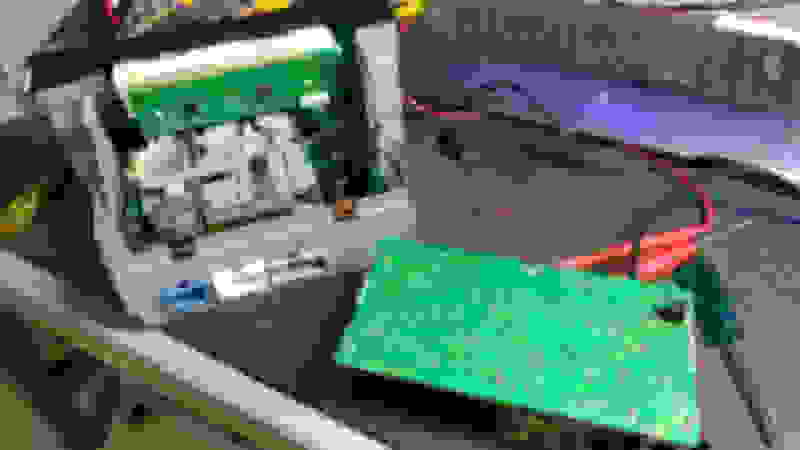 Cut the tracks on the PCB using a knife to create an open circuit. AM radio audio will no longer play through the stereo system. After carrying out these small modifications simply reassemble the head unit and refit back into the dash. Route your new auxilary cable to your preferred location, select AM and connect your music player. which I plugged into the cd changer port on the back of the stereo, but I found that the sound was way quieter when compared to just using the stock radio. Would this method fix that problem? Thank you! Is there an issue just getting a nice double din Pioneer to install? I read you lose some oem functions (i think sub?) but I’m not sure if it matters much at all? Mine has Navi. I guess I will lose AC controls and a whole lot of stuff. I don't know for certain since i have an SC400 but i dont see why it wouldnt work. You'll just have to find the sound channel wires that run from the cd changer to the headunit. I also recommend doing an aux jack and then attaching something like the Kinivo BTC450 to it. Thats the setup i have and it works perfect. But again this is in an SC400 not an LS. that looks like it will work, but that’s the hard way of doing things. Since this was started lots has changed in the world of parts. I was able to modify my deck to accept aux via the test outputs on my sc300. But in your case there is something even easier, there is a little 30$ unit on eBay that allows you to plug into the back of the deck were a cd changed would go and give you aux. It’s way easier than messing with relays, and then you can attach a Taotronic Bluetooth to aux adapter. Trust me I teses 5 units and the taotronic was the only one which didn’t need a ground loop isolated and didn’t introduce static or kill the bass because of the ground loop isolator. Find the taotronics on amazon. Last edited by zazzn; 01-06-19 at 12:31 AM. That's fantastic but I couldn't see the comptability with 98 LS400. Any idea on this? Last edited by Sherl; 01-06-19 at 08:15 AM. Check the back of your radio, if it's a pioneer and it has the standard cd changer port it should work. I got a radio out of a camery and it works. Make sure you get the lexus one though becuase the pinout is diff between lex and Toyota but they are the same between all Toyotas and all Lexus.